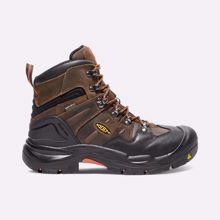 Made of waterproof leather and featuring a moisture wicking, breathable interior, these durable steel toe work boots keep you in reliable comfort and support from sunup to sundown. Assembled in Portland, OR. Your best bet for medium to heavy-duty jobs. 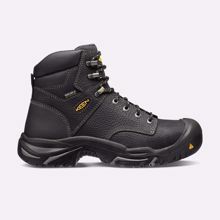 This work boot is waterproof, and the non-slip sole stands up to the slickest work sites. 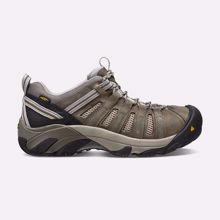 The resilient, shock-absorbing midsole provides comfort that doesn't quit. 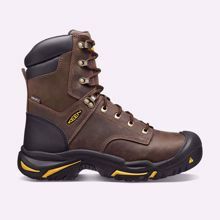 Dependable on the job, easy on the feet, the Louisville 6" boot delivers advanced durability, serious protection and exceptional comfort. It protects from the weather, and the abrasion-resistant materials hold up kicking around rock, scree and gravel. 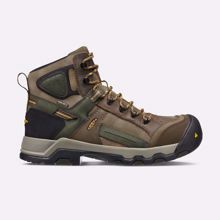 Protecting toes one shoe at a time. 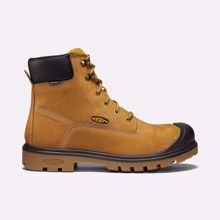 This steel-toe work boot boasts out-of-the-box comfort, with a spacious toe box and added cushioning at the heel. 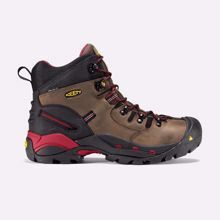 Waterproofing makes it an all-weather option, designed for medium to heavy-duty jobs. 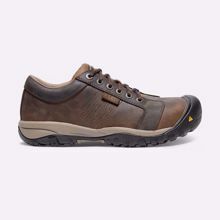 Specialized safety features and stylish good looks define these extremely comfortable work shoes. 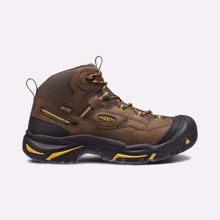 An aluminum safety toe, ESD protection, and a slip-resistant outsole give you confidence on the job.